All our readers are surely well aware of the categories that our different articles are posted in. There is this Cool Homes category which is my favorite one. In it we post the superb home architectures that are so mesmerizing that we can resist talking about it. 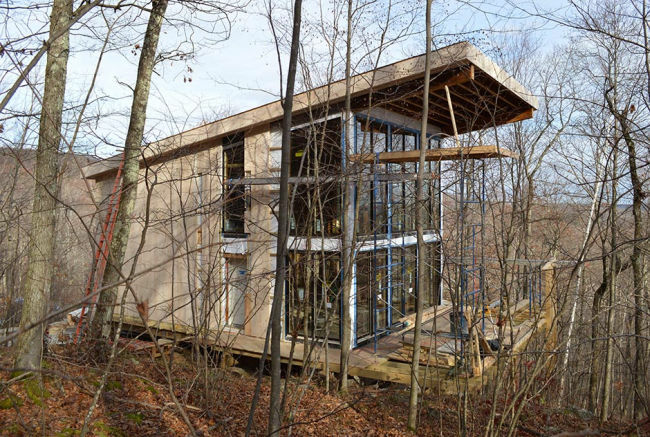 Adding to the list of cool homes that we have talked about in our preceding articles is the one that sits elegantly in the lapse of mother nature. 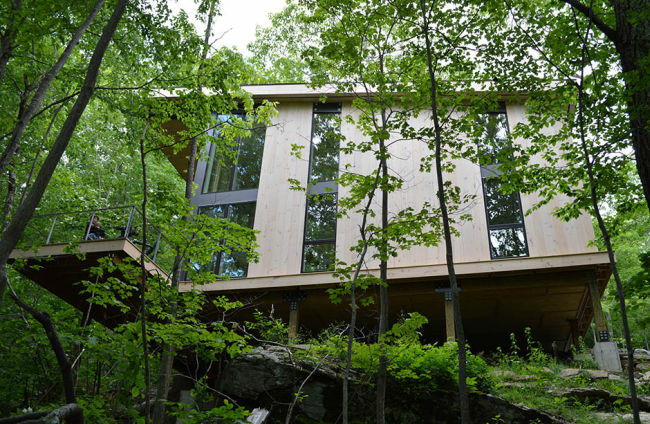 Genius brain at Framework Architecture have come up with a magnificent modern home namely Berkshire House. The main aim of the team members is to provide innovative architectural design to their clients and to expertly manage the design and construction process. With this goal in mind they keep adding superb architecture designs to their portfolio. Latest one being Berkshire House. 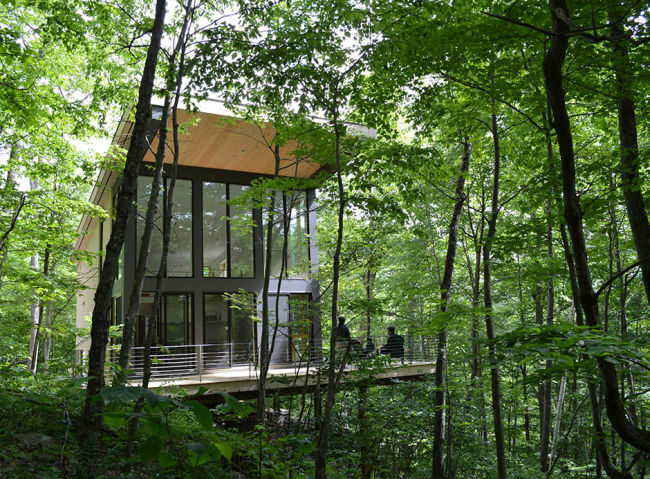 The house is so designed so as to let clients go to their weekend home which is immersed in the nature. 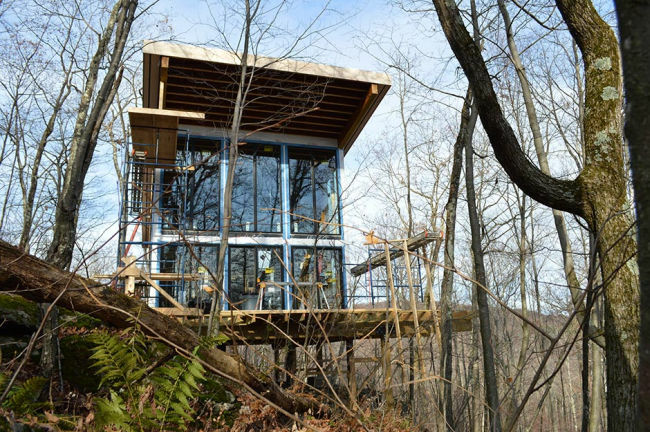 This reminds me of the unique treehouses we listed some days back. 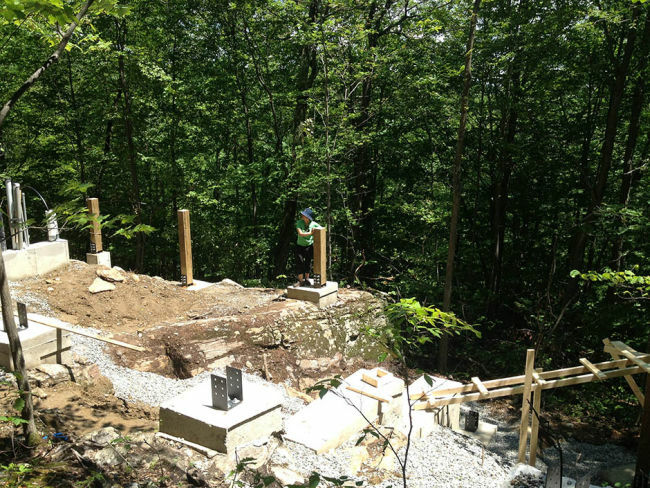 Coming to the point, the superb Berkshire cabin has a rock outcropping to enable windows to be at level with the middle of the adjacent trees. 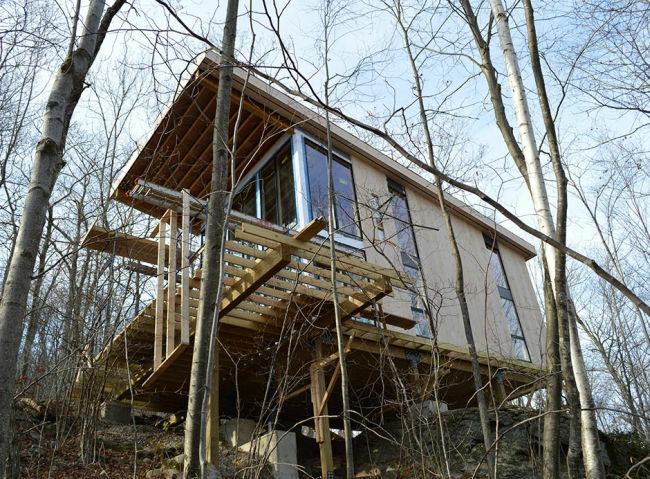 There is the cantilevered deck that lets users feel like they are in a tree house. The site is so beautiful and the home sits in such a place that no matter where in the house you are you can see a tree nearby. Quality of each and every element with proper detailing was the main thing that was kept in mind while designing this beautiful abode. 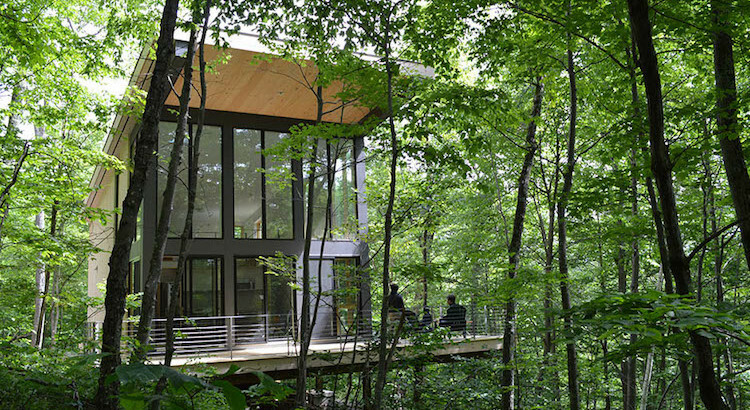 To talk about the interior, the living room has 4 large sliding doors so that it can be doubled as a screened in porch. 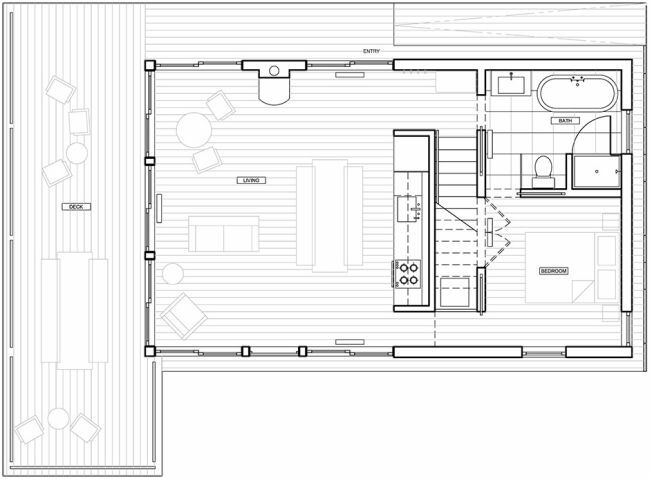 The total area of the house is mere 900sf. There is a loft that functions as a second bedroom. The internal contrast is made in such a way that adds to the appeal. As you all can well make out, the form of house is dramatic, and as stated by the designers, the materials where designed to relate to the environment. 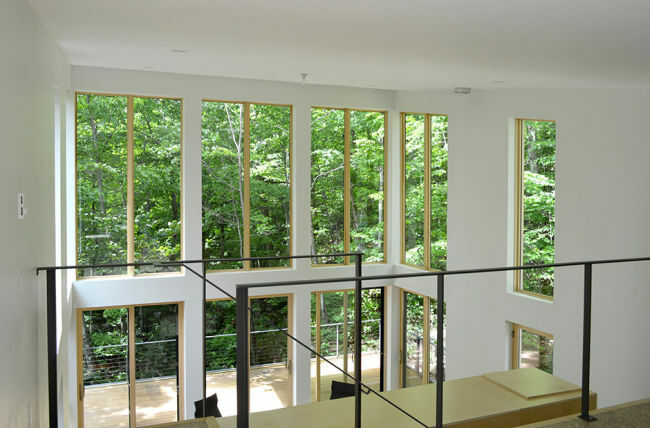 The vertical strips of the windows comes with dark gray panels between them that relates to the color and orientation of the trees surrounding the house. All in all, each and every element of this beautiful abode is added in a way that the overall result is simply eye-catching. Spending a weekend off in the lapse of mother nature is time well spent and is indeed worth it!